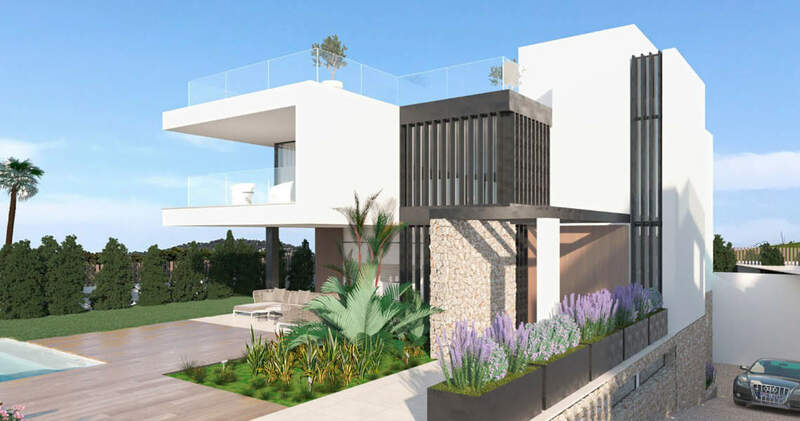 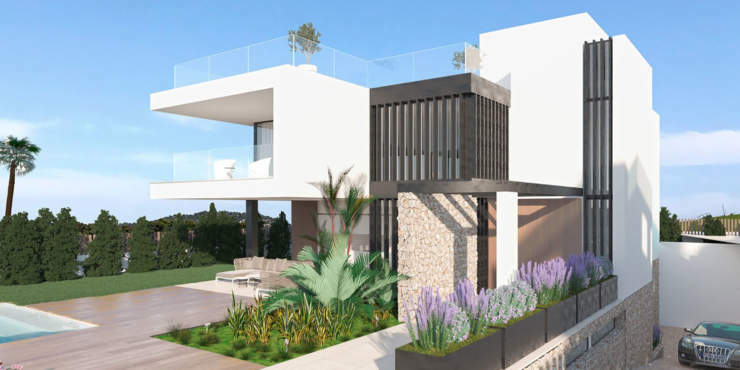 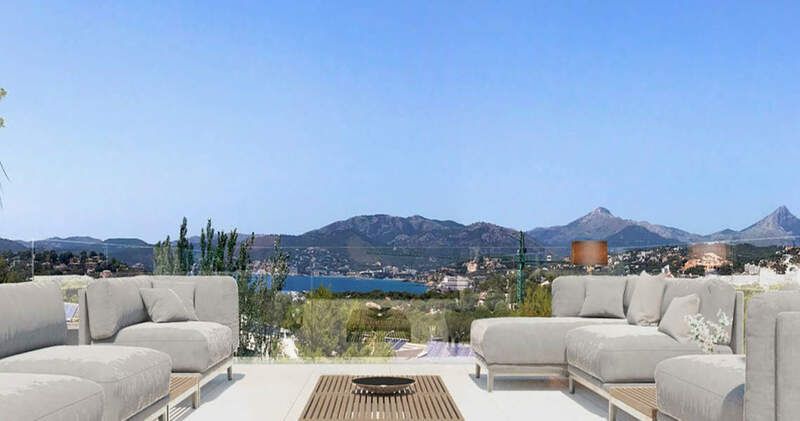 Presently under construction in a sought-after residential area close to the golf course Santa Ponsa II, this luxury property boasts stunning views over the green as far as the see. 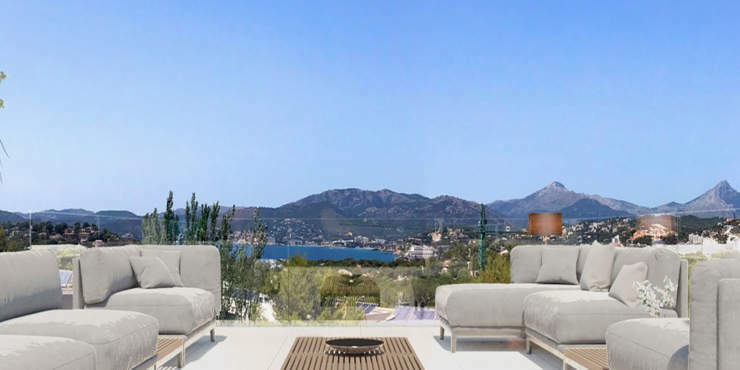 The good network of roads means that the town centre is close by and the numerous golf courses, yacht marinas and beaches that are spread throughout the region between Palma and Andratx are all a maximum of just 25 mins away by car. 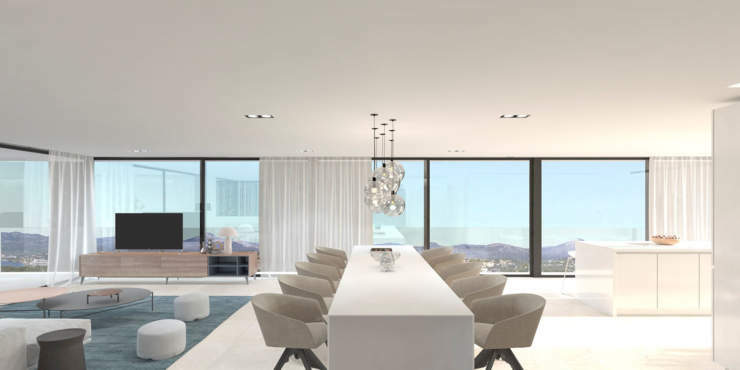 The southwest-facing property sets itself apart due to its elegant interior, high-end fixtures and fittings and Mediterranean elements such as “Piedra Mallorquin” natural stone façade. On the ground floor there are three bedrooms and three bathrooms. 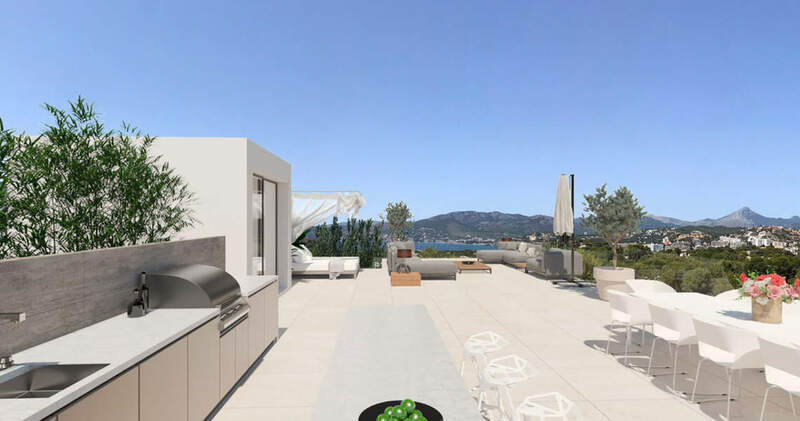 The main living area on the top floor comprises an open plan living/dining area with a brand-named kitchen, fireplace and access to two roofed terraces. 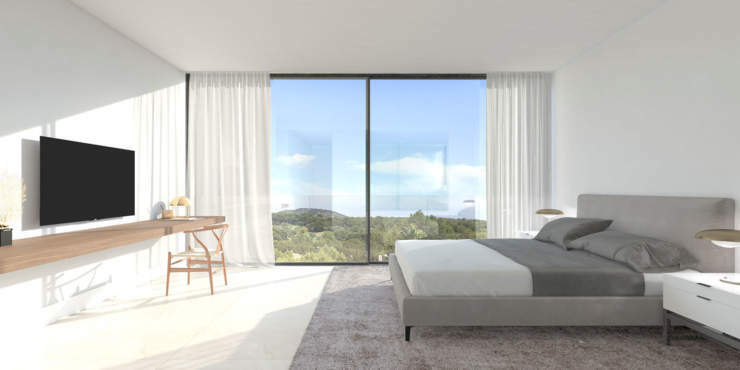 The master en suite bedroom and a guest toilet complete the room plan on this floor. 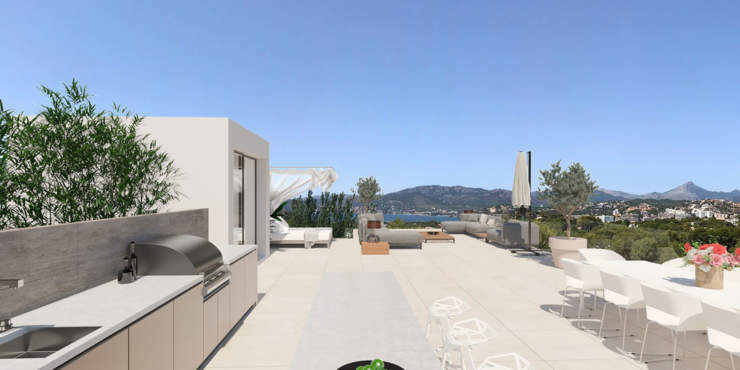 Highlight of the property is an inviting roof top lounge with BBQ/summer kitchen and sensational panorama views. 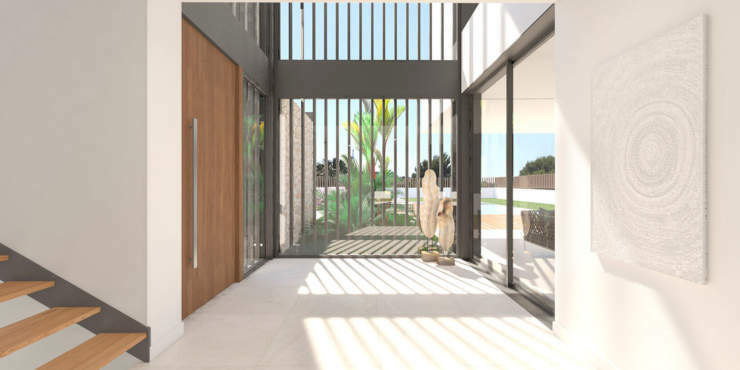 Beautiful garden settings with an appealing pool area, an elevator as well as a double garage plus a wellness area and a bodega in the basement add the finishing touch.